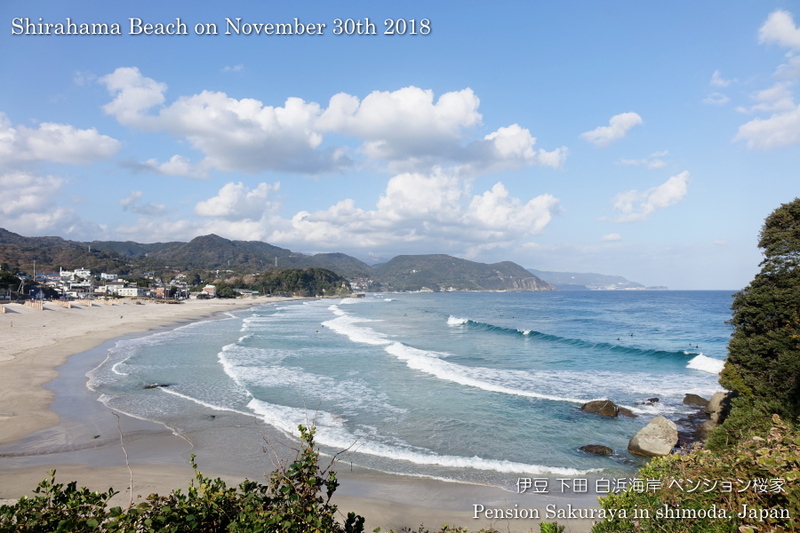 As we had a week holiday for my family until the day before yesterday I walked on the seaside road this afternoon after a week. We had cold wind yesterday, but didn’t have wind today. So it was very warm under the sun when I was walking. 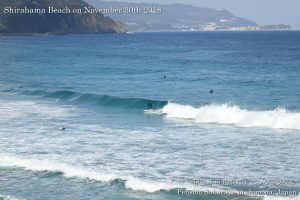 They had a little good waves to surf this afternoon. 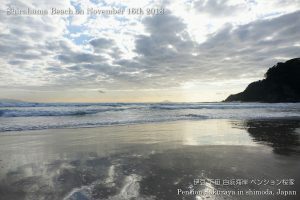 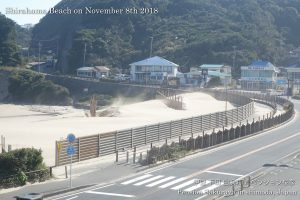 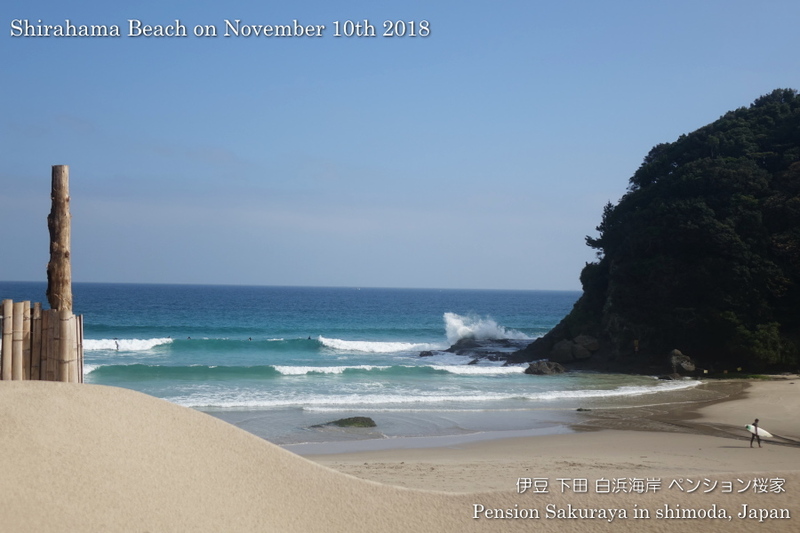 This entry was posted in beach on 2018年11月30日 by izusakuraya. 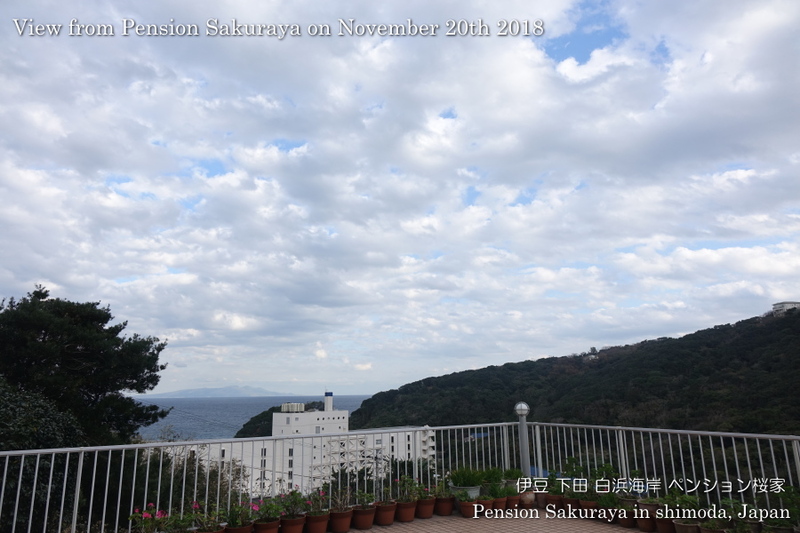 It was sunny this morning, but the sky was covered with a lot of clouds after 2:00 pm. 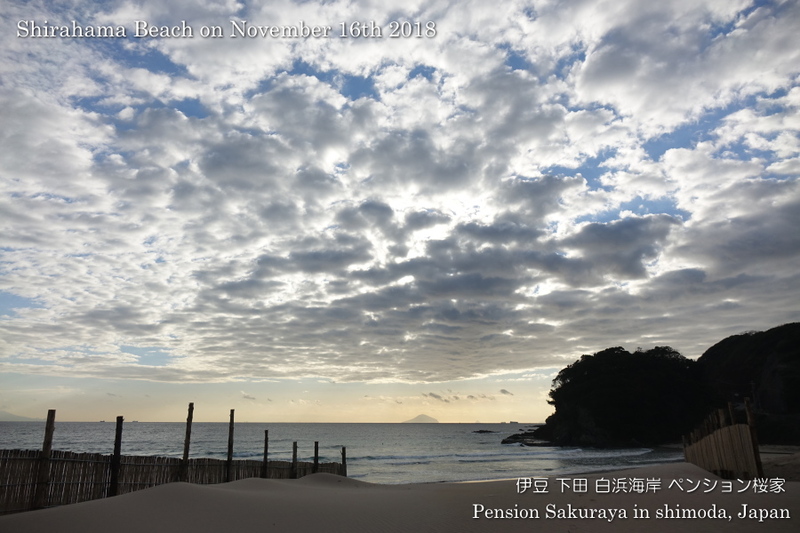 I should have started to walk much earlier to take photos of the blue sea under the sun. 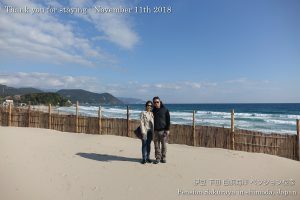 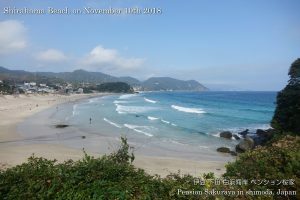 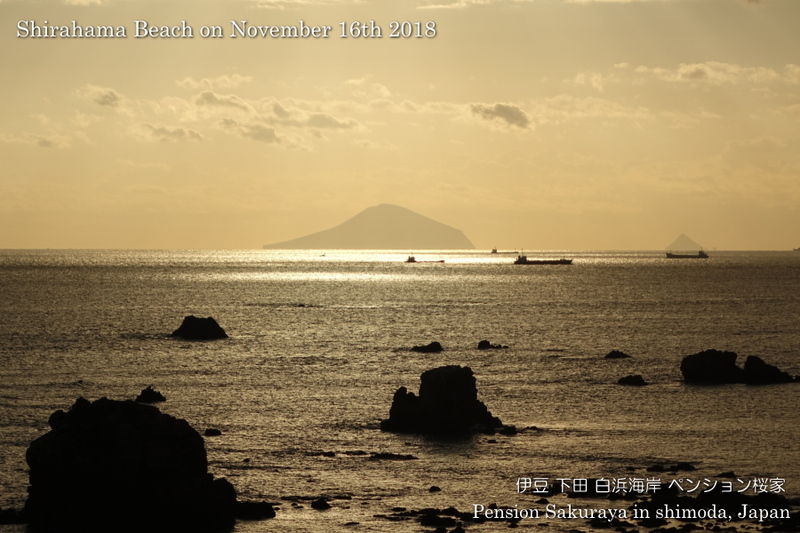 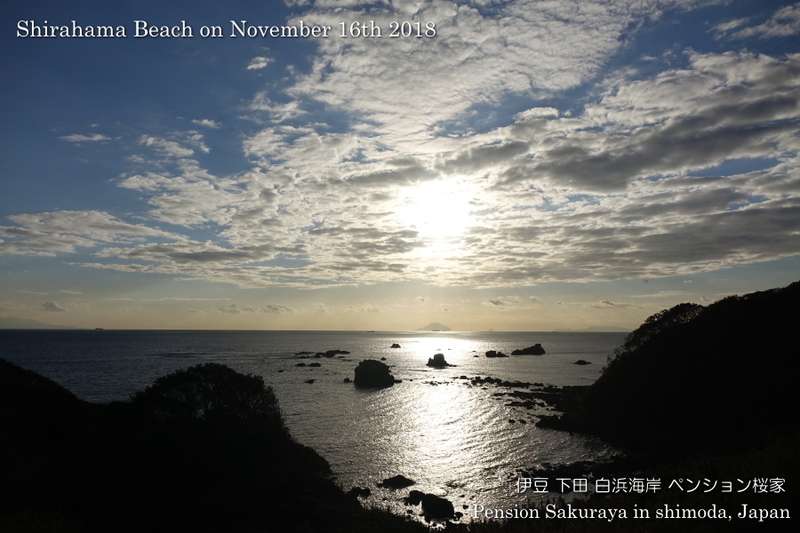 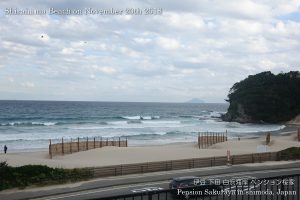 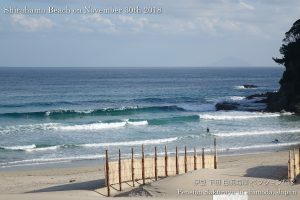 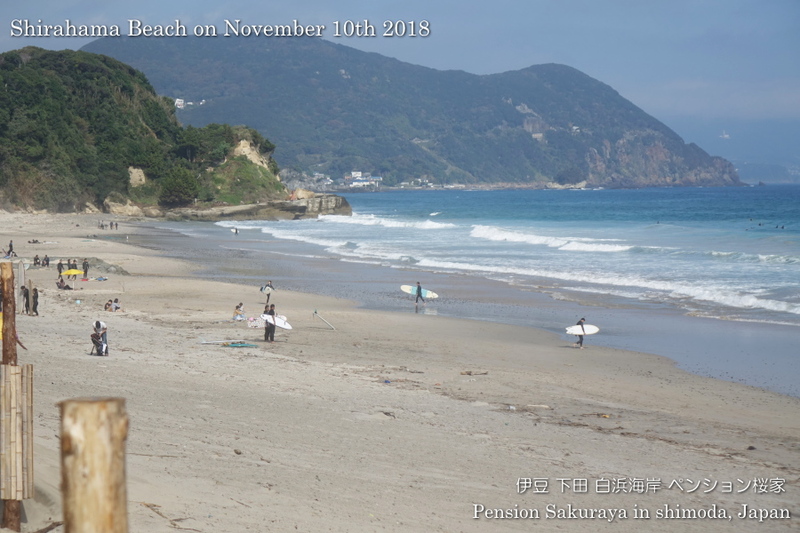 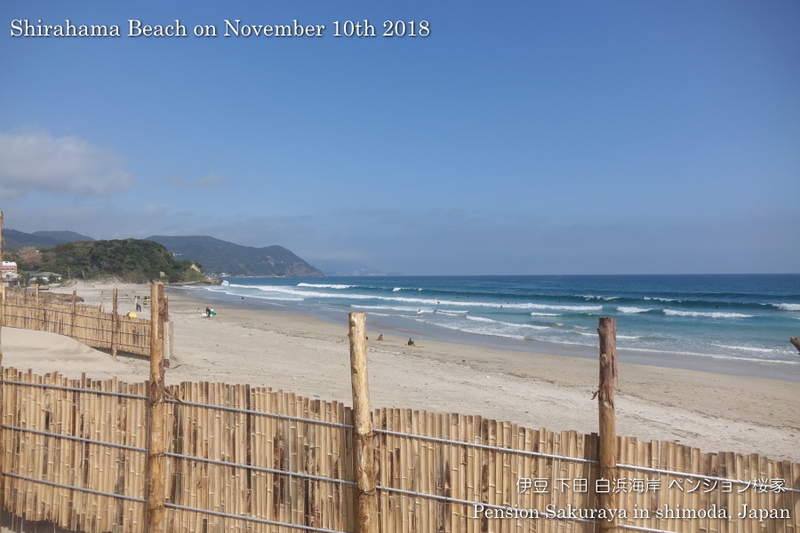 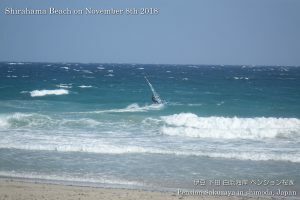 This entry was posted in beach, nature, Pension Sakuraya on 2018年11月20日 by izusakuraya. 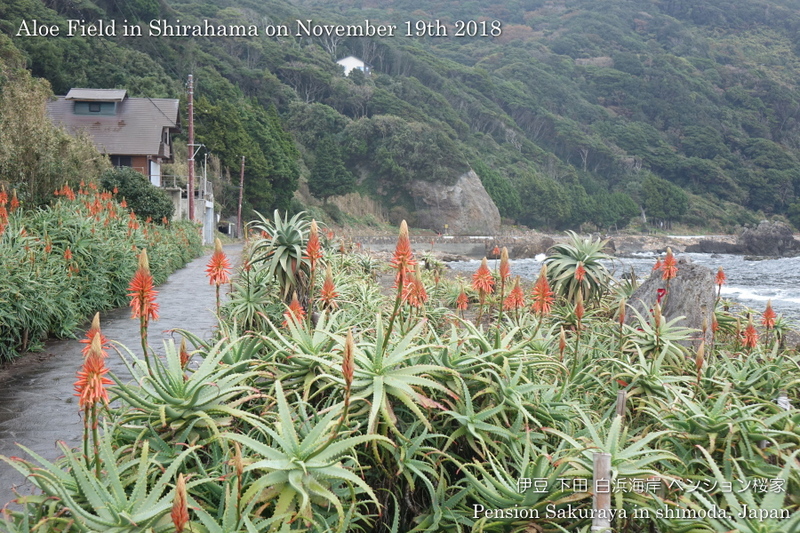 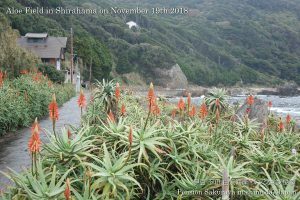 As I found out that the aloe flowers had already started blooming this season I went to the aloe field in Shirahama this afternoon. 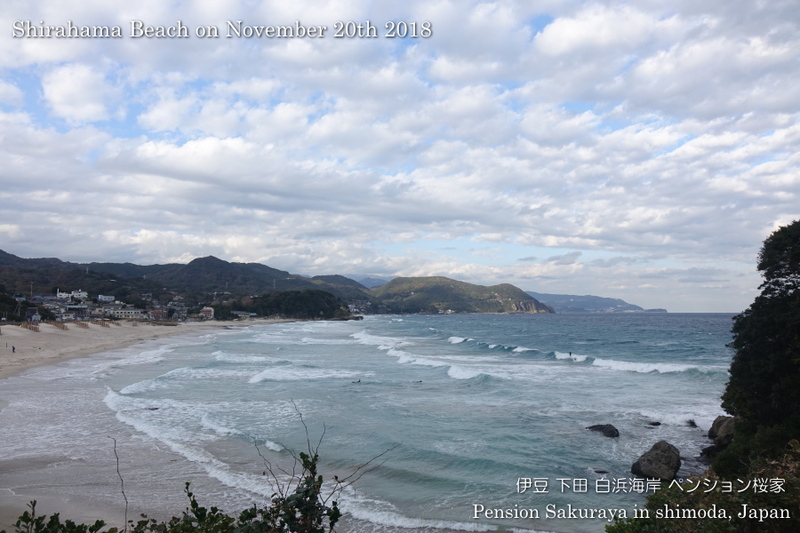 Today it was cloudy here in Shimoda, so I was not able to take good shots. 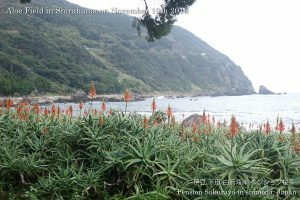 But if it was sunny, you would be able to see the beautiful scenery of the red flowers and the blue sea under the blue sky. 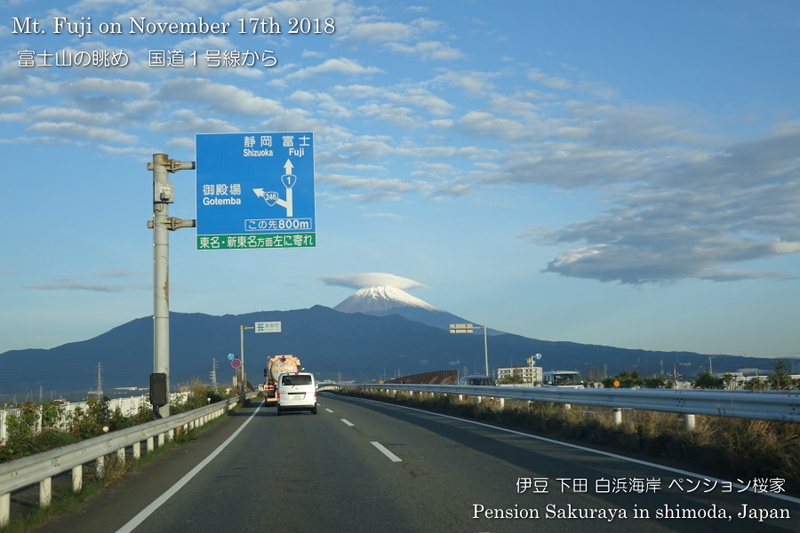 This entry was posted in 未分類 on 2018年11月19日 by izusakuraya. 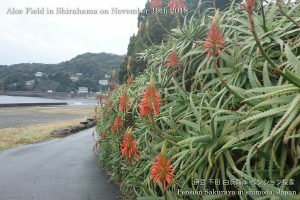 As my son had basketball games in Numazu city near Mt. 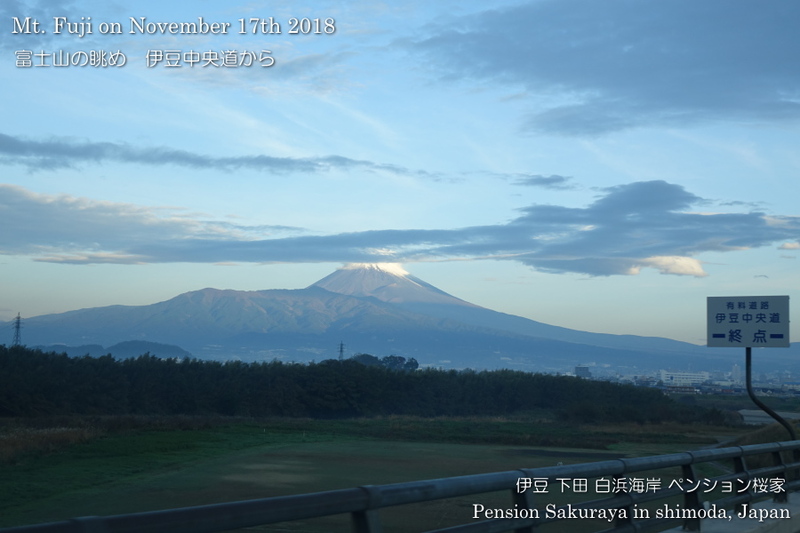 Fuji today we left home at 5:30 am and I took these pictures at around 7:00 am in Mishima city next to Numazu. 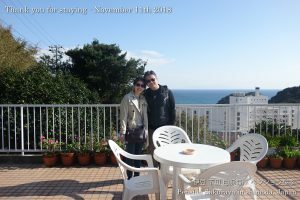 We sometimes go to Mishima city or Numazu city, but we can’t see Mt. Fuji everytime because of the clouds. 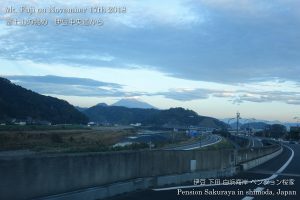 That’t why we are really excited when we have a beautiful view of Mt. Fuji. 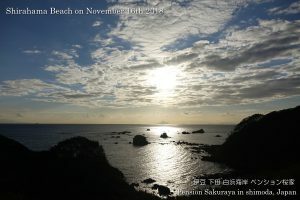 This entry was posted in nature on 2018年11月17日 by izusakuraya. I started to clean the dining room on last Monday. 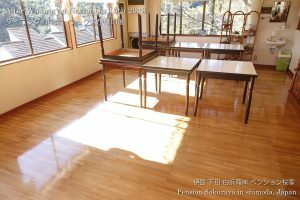 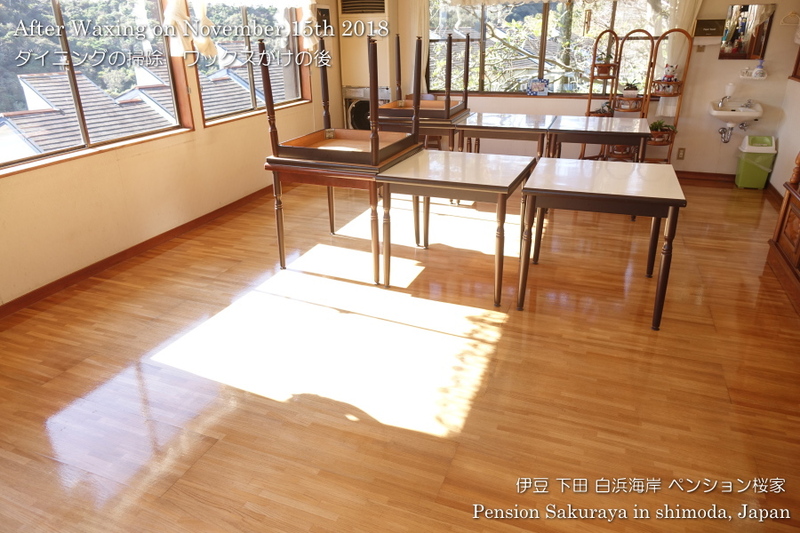 I had to move tabels, chairs and everything to the upper floor to clean and wax the dining floor. 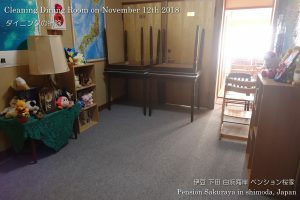 It took 4 days to finish at last, because I did it all by myself. 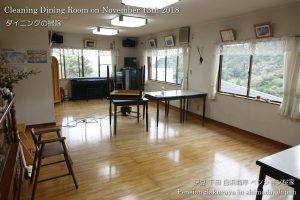 I’m very happy to see the shining floor after waxing. This entry was posted in 未分類 on 2018年11月15日 by izusakuraya. 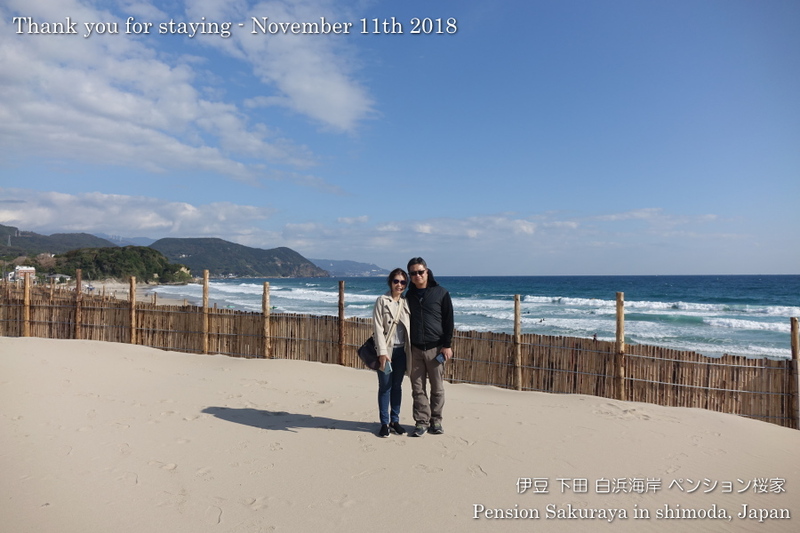 2018/11/11 Thank you for staying! 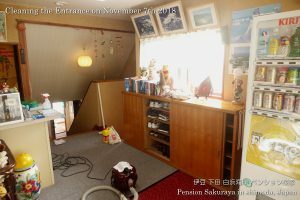 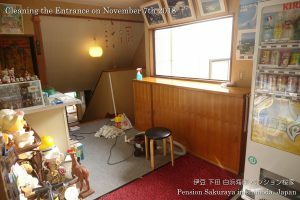 This entry was posted in Customers, Pension Sakuraya on 2018年11月11日 by izusakuraya. I walked on the seaside road this early afternoon because we had guets today. It was sunny and we don’t have strong north wind, so it was very warm here in Shirahama today. 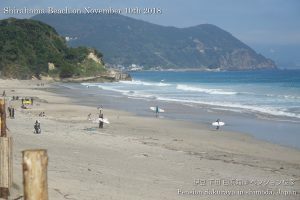 As they had a little good waves today there were some surfers on the beach. 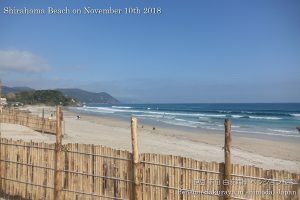 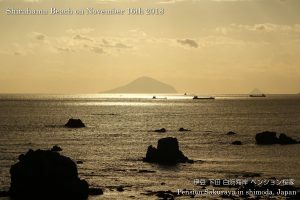 This entry was posted in beach on 2018年11月10日 by izusakuraya. 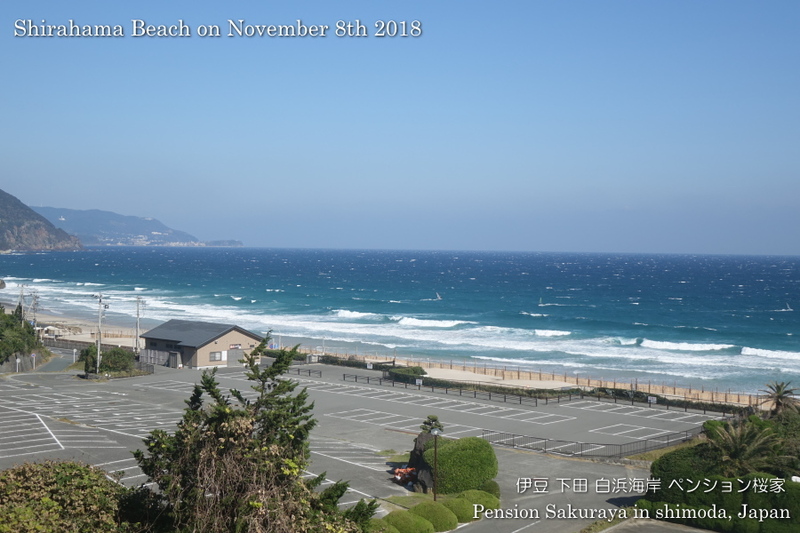 It was sunny but we had very strong north wind today. 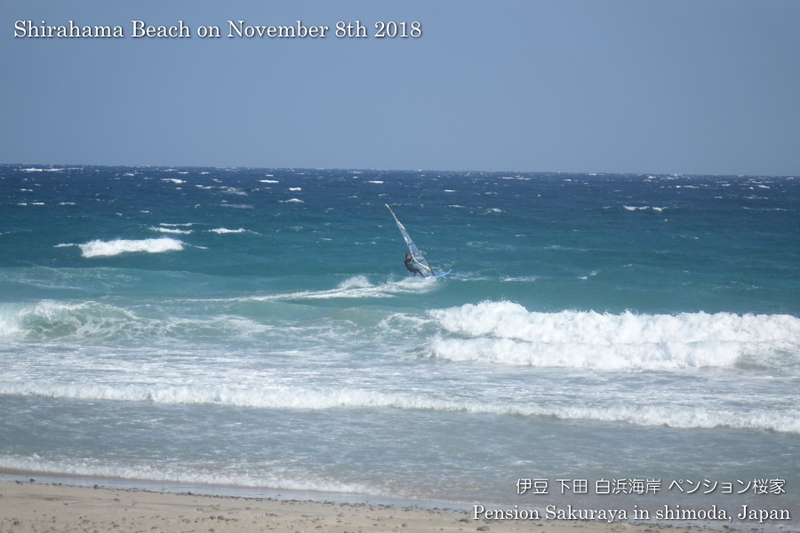 It was a good condition for windsurfing, but thie strong wind blow the sand away from the beach. 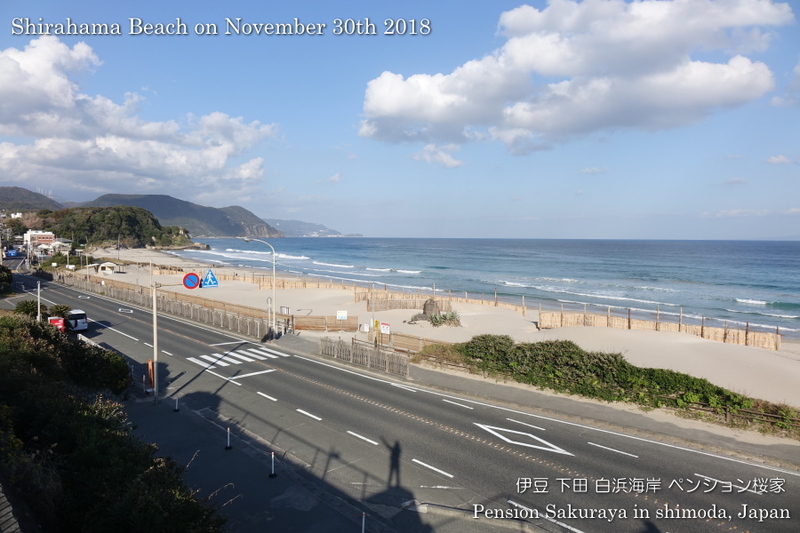 Actually I was going to walk on the seaside road as usual, but I was not able to do it because I didn’t want to walk through the sand which was blown away by the wind. 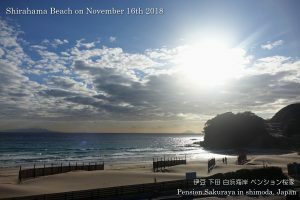 This entry was posted in beach, nature on 2018年11月8日 by izusakuraya. 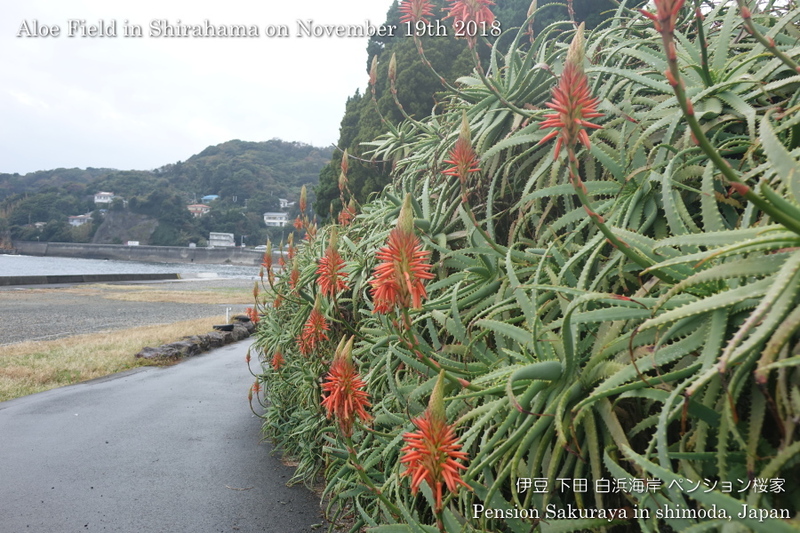 It was cloudy and sometimes sunny here in Shirahama today. The north-east wind is getting colder day by day. 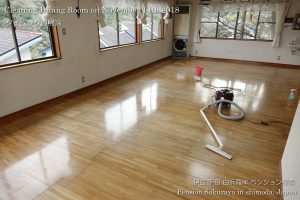 I cleaned the enctrance of our building today. 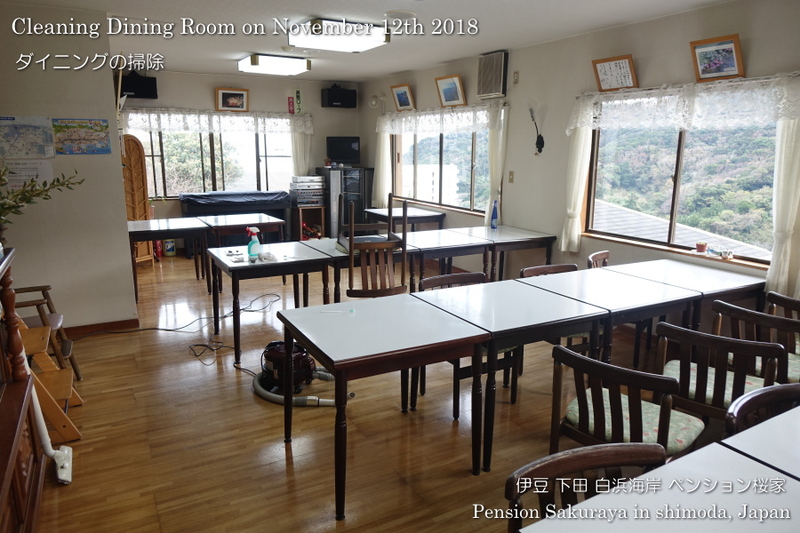 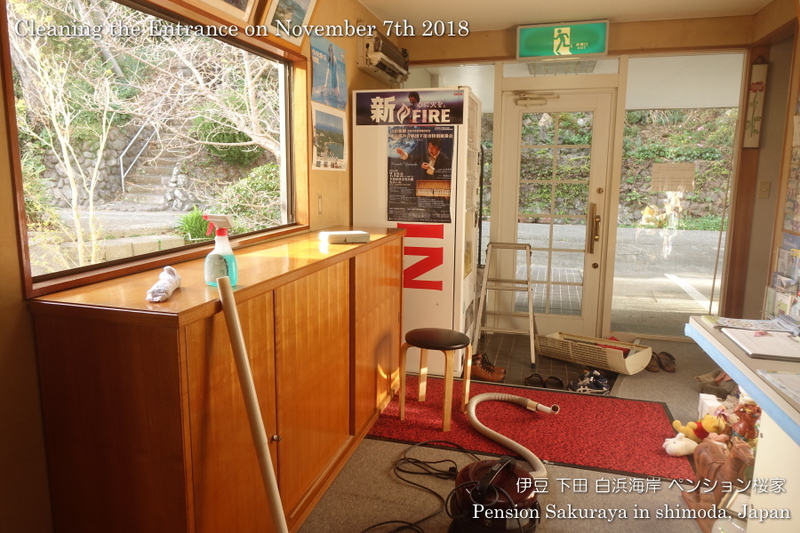 This entry was posted in Pension Sakuraya on 2018年11月7日 by izusakuraya.